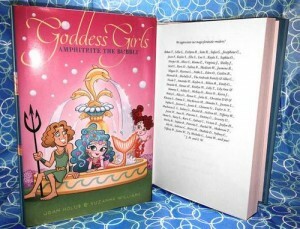 All of Artemis’s friends and classmates depend on her to be the most courageous goddessgirl in Mount Olympus Academy. 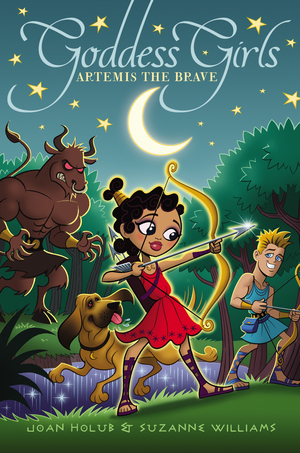 Little do they know that despite her expert archery skills, the smelly geryons, ring-nosed Minotaurs, and stinging scorpions in Beast-ology class scare her as much as anyone else! But what’s really bothering her now is that funny feeling she has whenever she looks at foreign exchange student Orion. 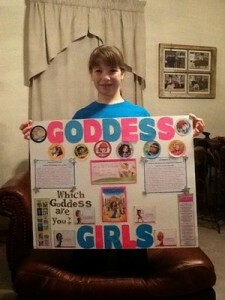 She’s never had a crush before–could this be what all the fuss is about? 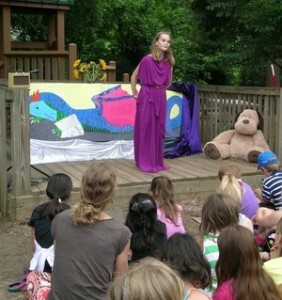 And will she find the courage to talk to her crush, make him see her as more than a pal, and to ace Beast-ology class?